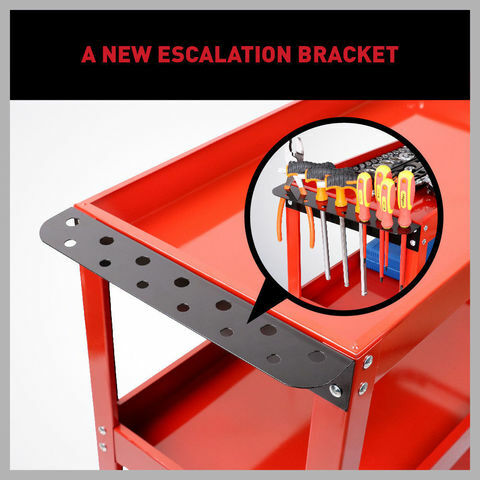 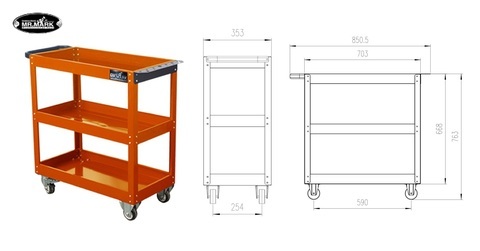 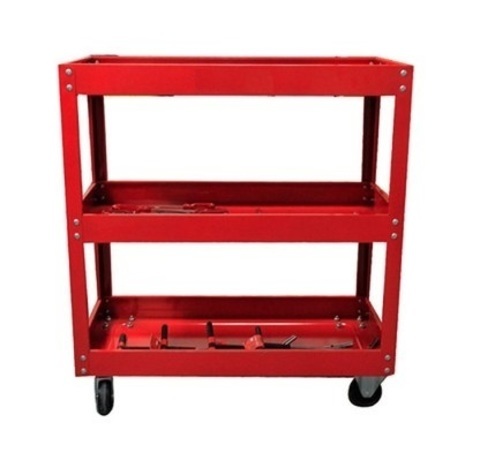 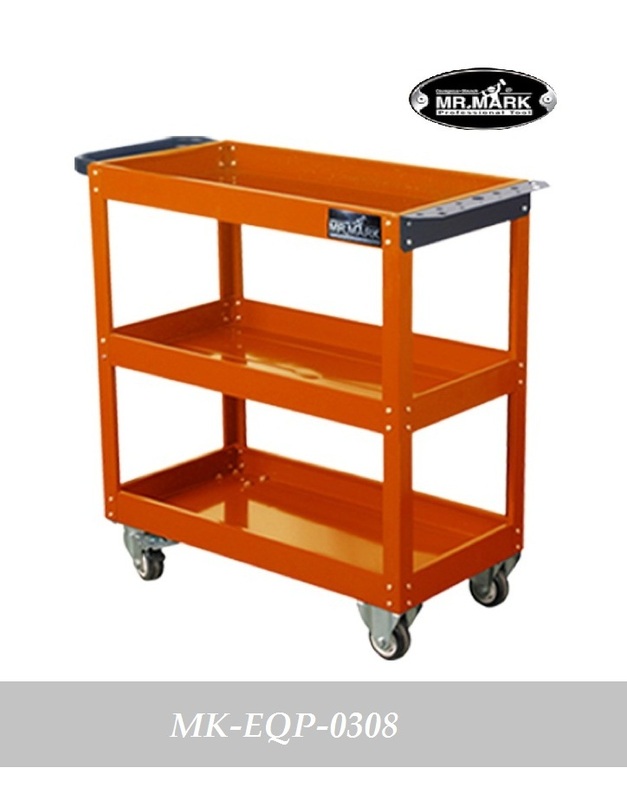 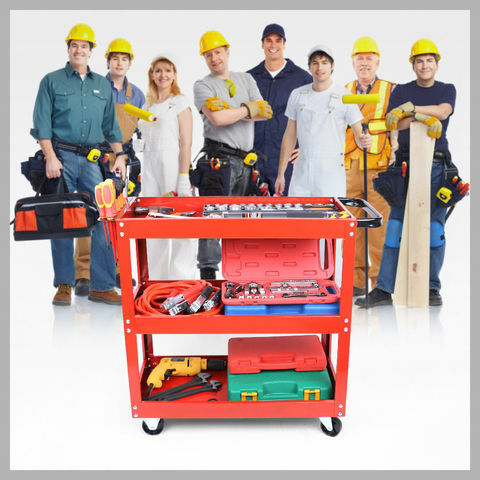 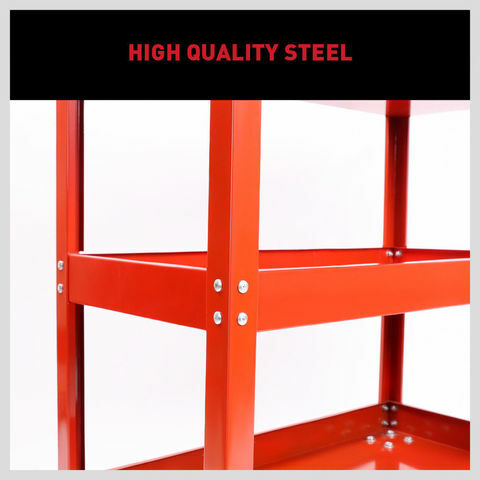 Mr.Mark 3 Level Mechanic Tool Cart Trolley..
.Practical & Multifunctional- This tool service cart is made of cold rolled plate which allows you to keep some heavy equipment such as sockets, wrench, hammers, etc. 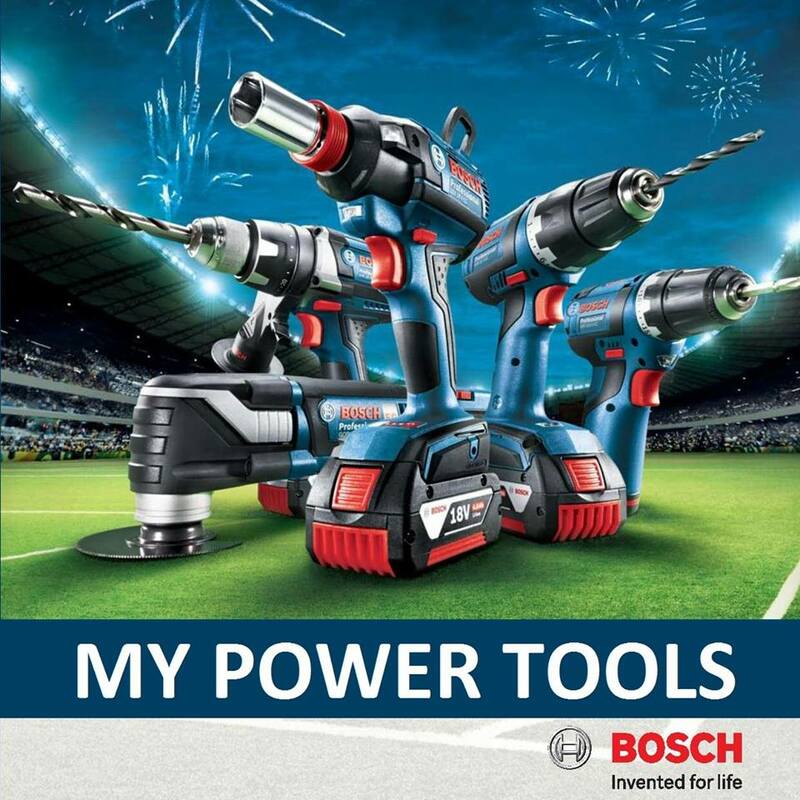 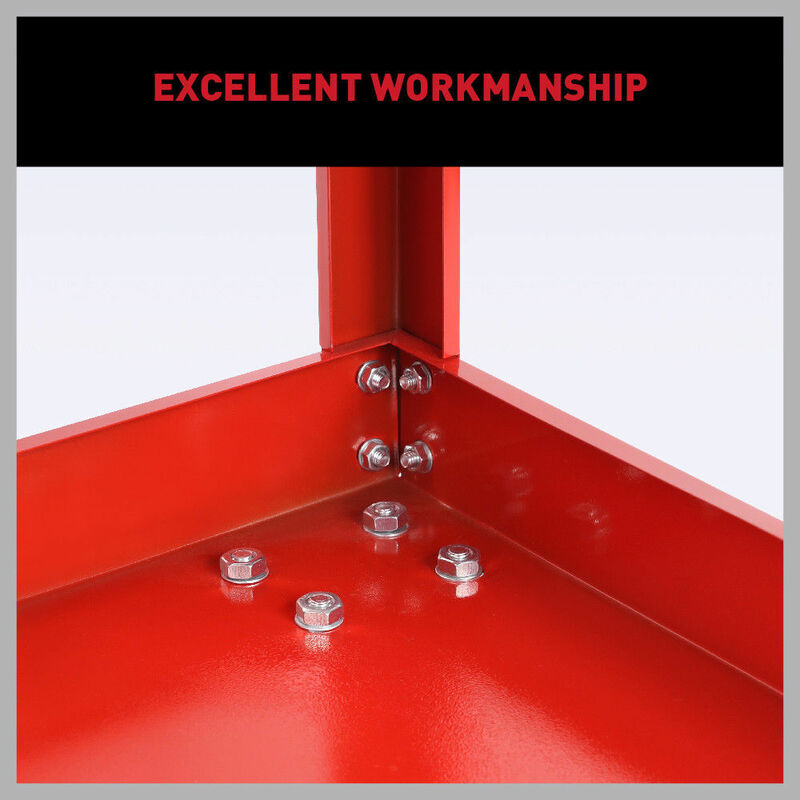 .It is durable enough for moving tools and car parts, or almost any job. 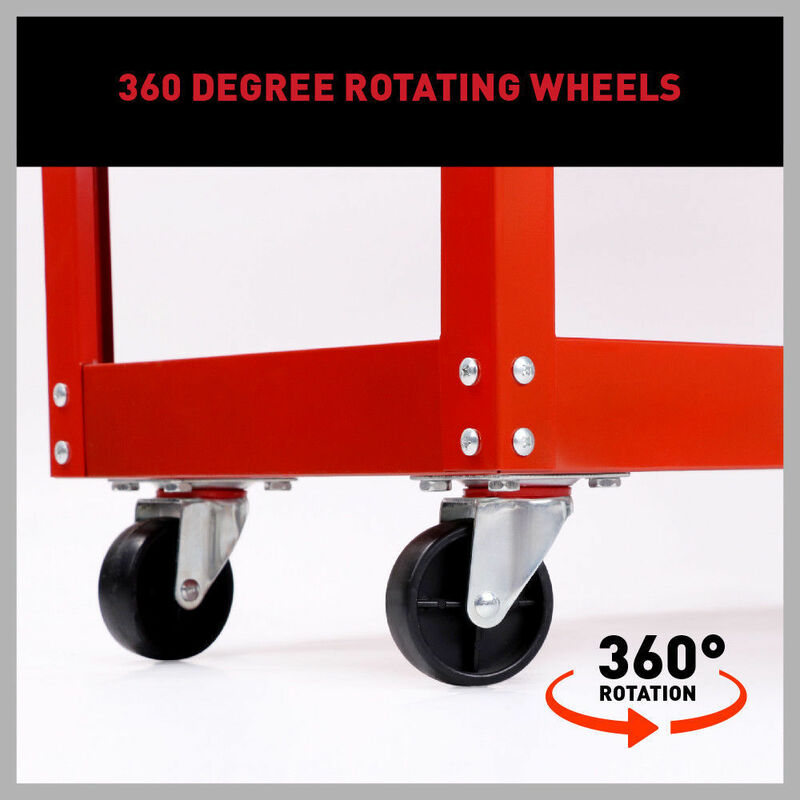 .4-wheel design, 2 fixed and 2 swivels, is for smooth moving and easy control. 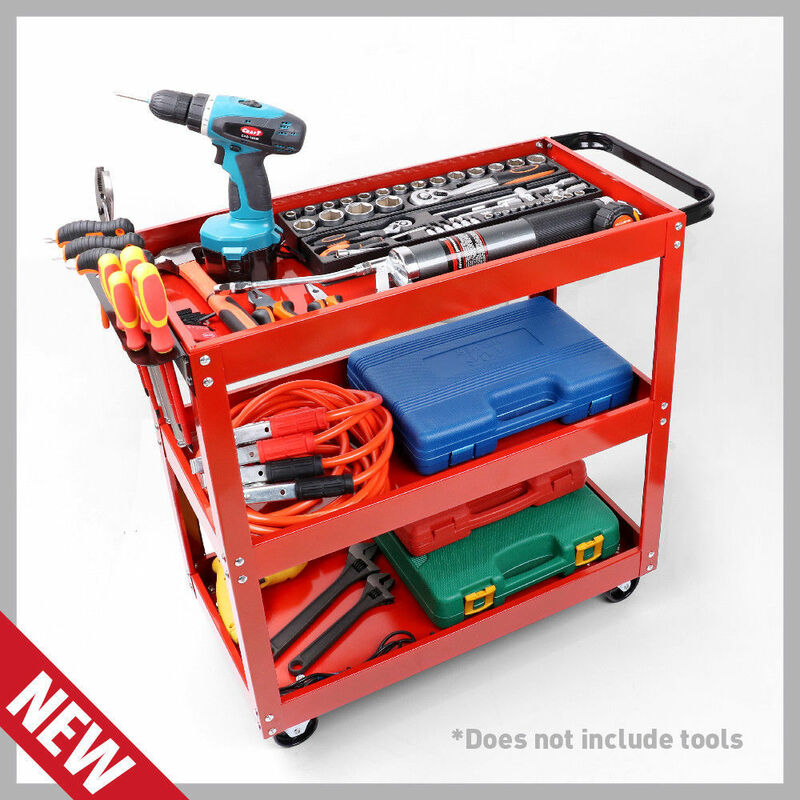 .3-Layer deep tray design can load more things that supply you plenty of storage for your tools or DIY parts. 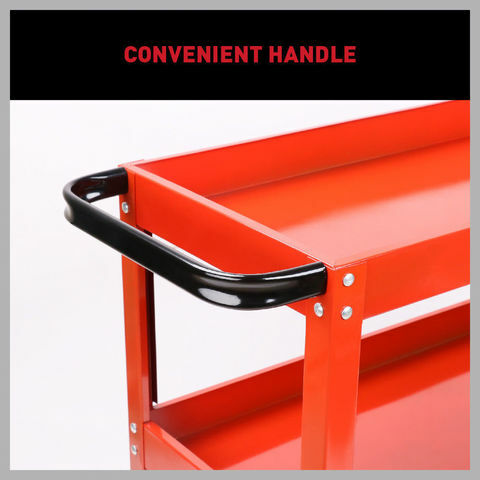 .Ergonomic handle design will make you feel comfortable when the cart's moving. 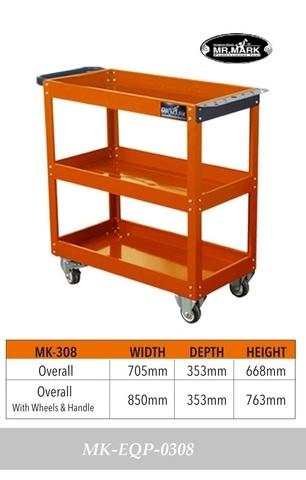 .Load capacity: 150kg (50kg per Tray). Simply assemble required.